SF that didn’t peg the engineer’s baloney meter! Just a quick note of explanation, both of these novels use alternate reality as a way to get around some glaring scientific issues with their universes (one deals with FTL and the other with the Large Hadron Collider). I like my hard science fiction, but these days you can’t really write some types of stories using hard science unless you make up some new science. The trick is to add new science into the story in a way which doesn’t trip the baloney meter of us real science and engineering types. 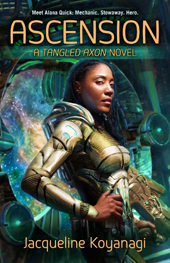 As a bonus both of my favorite SF reads in recent months were by new female SF authors, this is such a rare occurence that I had to feature them in a column here! First of all, Your Humble Reviewers rarely buy books from authors and publishers we don’t know. This trade paperback had made its way to our local Barnes & Noble’s new SF section, it had a hot babe in a cool spacesuit on the cover and the blurb indicated that said hot babe was a techie. Okay, so it looked interesting but we had come to the store to buy something else, so we left without it. A couple of days later, having polished off the urban fantasies we had bought that day, I was wishing for that new space opera. 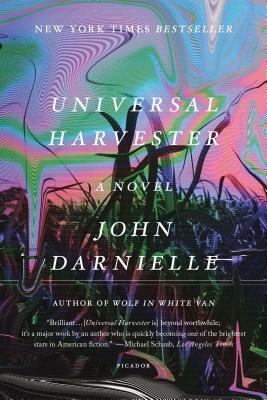 Rarely do I find a new author who can do that genre correctly and not make me want to throw it across the room from the magitech used, but the cover and blurb of this one made me think this might be one of the good ones. Besides, as much as I dislike the way B&N decides what to stock, sometimes their system does work and a new gem will surface in the new section, which I would not have found on my own. I did something I haven’t done in years, I drove back to the store (its 25 miles away) just to get that book. And… it was totally worth it. Not only was protagonist Alana Quick a cool techie chick (me being a female biomedical engineer you can see how that would appeal), but she had depth of character, showing sorrow at not just her lot in life but the lots of everyone around her as well. She was a bit oblivious to how the loss of her family would affect her when she left the yard, and she was confused by the crew of the Tangled Axon and also attracted to the ship and its crew with a strange pull. She left behind the aunt who had led her to the career choice she had made to service out-of-date starships, but was constantly reminded of her because of the inherited deadly disease she shared with her aunt. All these made Alana a likable, normal-seeming young adult who wanted to take her career on the road, even if it wasn’t the smartest idea because she needed to keep near a supply of the meds she required. Alana meets a ship’s doctor at the shipyard and stows away on her ship. She is discovered of course, but not until it is too much trouble to return her. She stays on board and ends up handling all kinds of ship problems, including some she accidently caused. The ship’s crew is like a family and Alana tries to find her place in it, but even by the end of the book, she isn’t sure about things. She falls in love with the ship almost immediately and with parts of the crew, but she isn’t used to sharing or having more than one girlfriend so she has to adapt. The techie bits didn’t push my engineer senses too much, the use of AIs mean the interactions with the ship were quite unique because the voice of the ship influences how Alana sees its parts and how they are working. Like a mechanic on an old car, Alana knows her ship so well that the smallest problem will make her seem off, which seemed logical since in Alana’s world the ships she works on hold the place old cars do in ours (not needed but still loved forms of transportation which sometimes get service many times the value of the vehicle, because the owner wants it to keep running). Alana’s sister Nova gets pulled into her adventures and her viewpoints of Alana, her career choice and her love life, give the reader some additional information about the universe they live in. There are some sisterly scenes, as well as some romantic ones, but all are done well and with good taste. None of the romance goes anywhere a romance novel does not, but it is definitely a GBLT and alternate family structure friendly book. I am not sure what bright buyer at B&N placed this book in their stores, but it is just what the genre needs these days. A well written space opera, with a retro feel, but modern characterization and characters who reflect the real people around us, not some idealized stereotype. Hopefully, the Tangled Axon will continue to fly through many more adventures! If you love a good space opera, then this book is for you. All you blokes who think a female can’t write space opera, you’re wrong! Read this book and see for yourself! This is McGugan’s first novel, though one would never know that, given the level of polish this story has. The story is heavy on the science and McGugan, who is a physician, even brings some of her medical knowledge to bear, though she manages to avoid info-dumping, which is a common problem for new SF writers. An opening caveat: The Eidolon is a science-fiction mystery/thriller, so Your Humble Reviewers shall endeavor to avoid tossing out any spoilers. And now, on with the review. 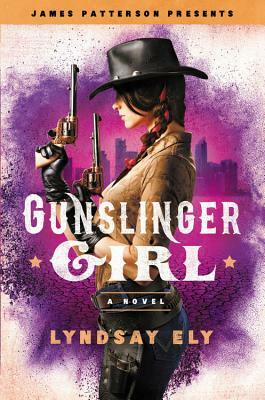 McGugan has created a unique protagonist in Robert Strong, a physicist turned undercover secret agent. He has some family issues which give others leverage to get him to do their bidding, but once he is in place he uses his observational skills to determine what he thinks is the best solution. Unfortunately for him, his girlfriend shows up where he is working undercover. During the insertion phase of his mission, Robert was almost killed in a helicopter crash, and this near-death experience has made him see the world differently. These differences make him question his sanity, and the views of his family, his girlfriend, and his boss do little to improve the situation, though he eventually comes to terms with his new reality and is able to fit in with the new friends he has made. His friends, his boss, and his girlfriend all have their own ideas about how to keep the world from exploding when the Large Hadron Collider comes online, but in the end Robert must face the truth about himself in order to understand the truth about the world and how to save it. 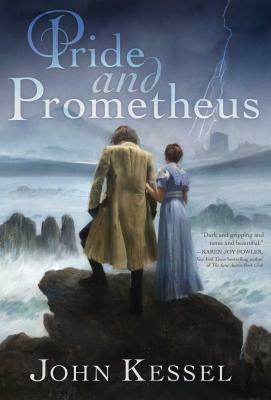 McGugan has produced an adventure story that leans heavily toward hard science fiction, with engaging, multi-faceted characters that are not always truthful to each other or to the reader, and she has obviously done her research, providing intricate detail to the story’s settings in the United Kingdom and Geneva, Switzerland. 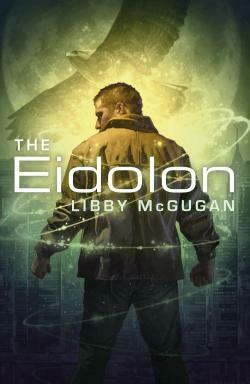 The Eidolon is just the thing for readers with a bent toward physics or who like a bit of weird alternate reality with their SF adventure. Your Humble Reviewers had the pleasure of attending McGugan’s book launch at the Waterstone’s bookstore located in Sauchiehall Street in Glasgow, Scotland. The shop did an excellent job with rearranging their space for the event and provided refreshments with both potables and non-alcoholic choices. The author gave a brief talk followed by a Q-and-A session, and then many of the attendees (Your Humble Reviewers included) retired to a neighboring pub where physician and author McGugan showed off her skill as a fiddle-player. This was a great book launch for a new author, and McGugan had the unswerving support of her publisher, Solaris Books. It isn’t every day that a new female science fiction writer (who is also a scientist) is introduced, so giving her and her book the attention they deserve was greatly appreciated.